I’m hosting TGIFF this Friday, which means I have to have it finished soon. 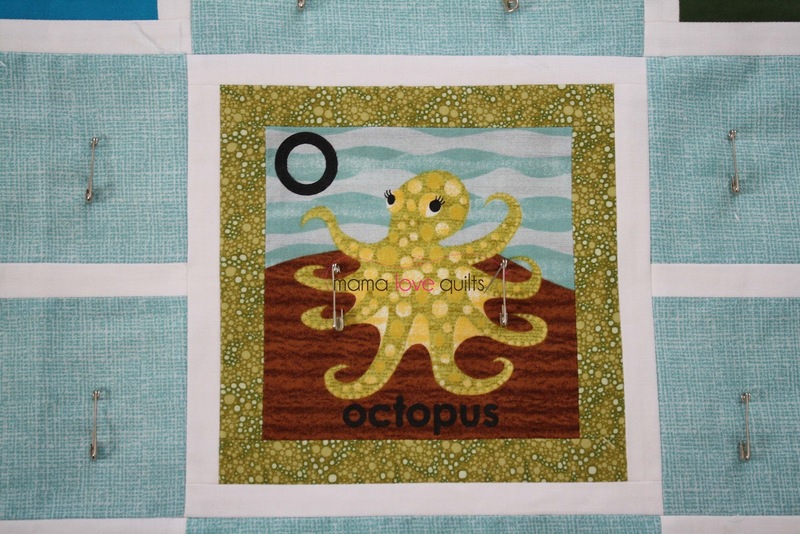 Here it the little octopus basted along with her other ABC animal friends. And here she is getting the first stitches. I had visions of doing a bit of pebble quilting, but then reality set in. If I started stitching pebbles, I’d either get no sleep for the next four days or have nothing to show come Friday. Now, how would it look for the host of TGIFF to not have finished anything?!? What about you? Are you working on finishing up something this week? If so, be sure to come back and link up on Friday! 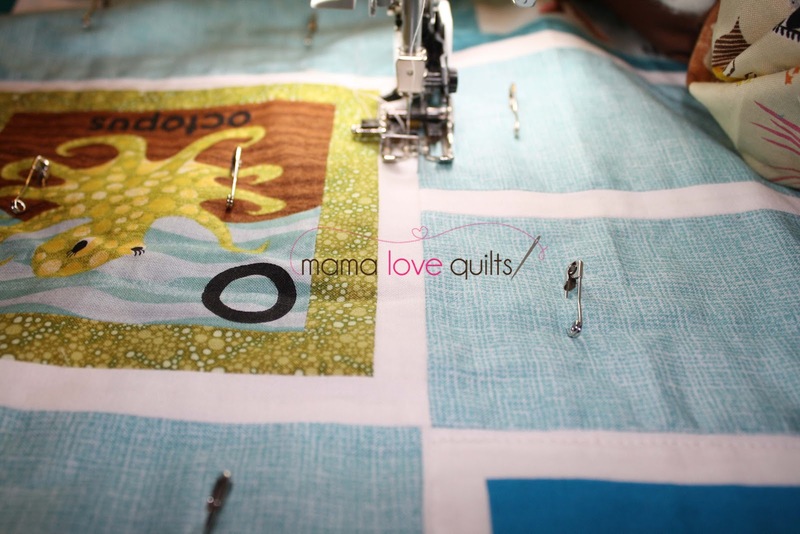 This quilt is looking so adorable, Nicole. I can't wait to see the final reveal! Yay, looks so cute Nicole! Looking forward to TGIFF! Good luck as you finish up! Such pressure! That octopus is SO CUTE! I can't wait to see this one done either. Good luck! Oh can't wait for Friday = happt stitching! Oh man, good luck with it! I have nothing anywhere near finished unfortunately. Oh well, c'est la vie!